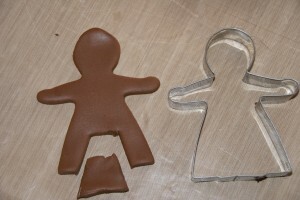 Begin by kneading and rolling out the chocolate sugarpaste (Dr Oetker from most of the major supermarkets) fairly thickly for the gingerbread man. 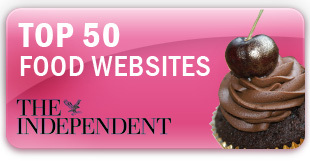 You won’t mind it being thick is tastes blooming lovely! 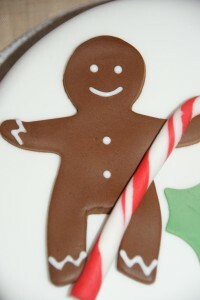 Cut out your gingerbread man, actually my man cutter is very thin and weedy (insert sarcastic comment here!) so I’ve used the lady and cut her in some legs! If you’re shaping your own man like me, soften around the ends of the feet and bend the legs in slightly. 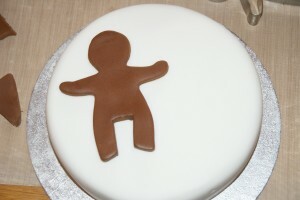 Apply a little water with a paintbrush to the back of the lady now man and set into position on the top of the cake. 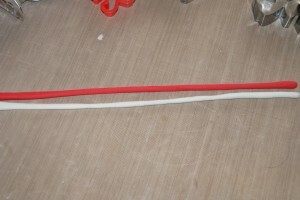 Take the white and red sugarpastes and roll into long thin sausages and then scrunch them up into a mixed ball together. Roll out the ball into another long thin sausage. 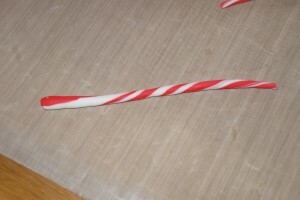 Keeping one end of the sausage still with your hand roll the other end forwards along the worksurface to create a twirl in the striping for the candy cane. 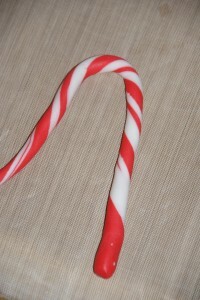 Shape into a rough candy cane hook and trim with a knife. 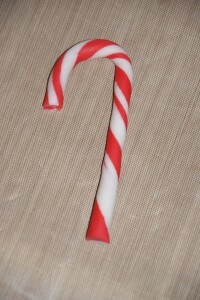 A couple of dabs of water onto the cake where the candy cane sits and lift it into position. 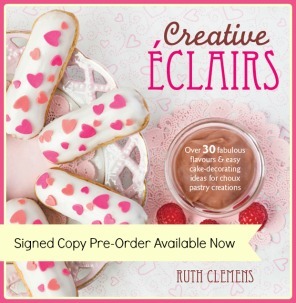 The dab of water with a paintbrush will create its own glue and will hold the pieces in place. Onto the holly and berries…. 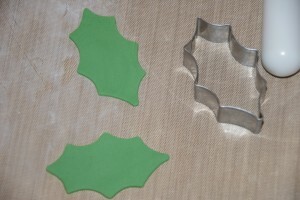 roll out the green sugarpaste and cut out two leaves with the cookie cutter. Mark the veining on the leaf with the back of a knife. Before you add them to the cake roll two small balls of green sugarpaste, these sit underneath each leaf to give them some movement! 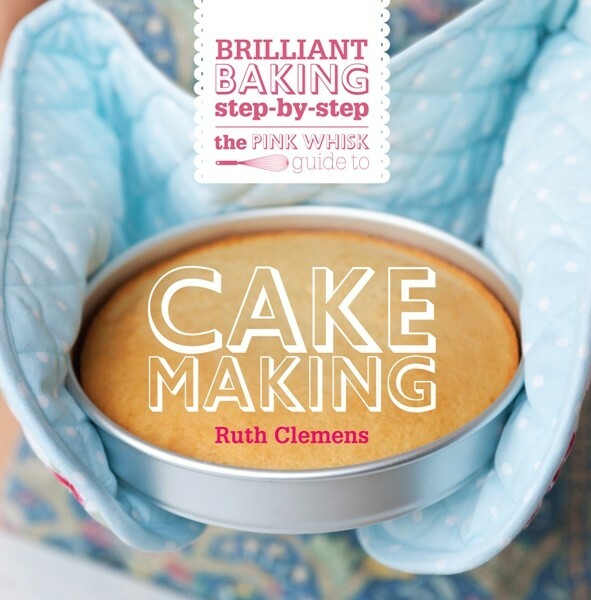 Stick the balls in place on the cake with a dab of water. 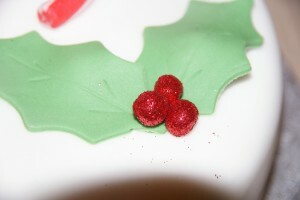 Add the holly leaves draping them over the balls. 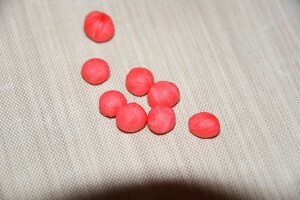 The glittery berries are made by rolling small berry sized balls of red sugarpaste. For the sparkly smear a little trex (vegetable fat) over the palm of your hand and roll the ball again so it has a soft sheen. 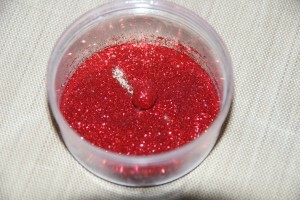 Drop the berry into a small dish containing a little of the red glitter and swirl it around to coat fully. Spear the berry with the end of a cocktail stick to lift it out (in an attempt not to cover yourself completely with the edible glitter). 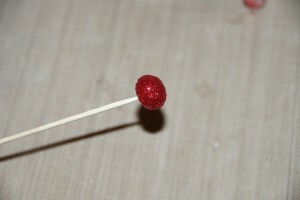 Apply a brush of water where you will place the berry and release the glittery ball from the end of the stick into position. 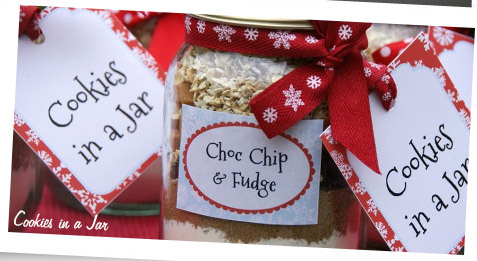 Obviously the glitteryness is entirely optional, but I do love a touch or two of glitter (you knew that already!) Just rolling in the trex will give the berries a lovely sheen. 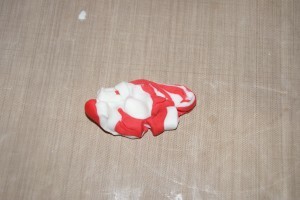 Finally mix up some royal icing and add to a piping bag fitted with a small round tip. 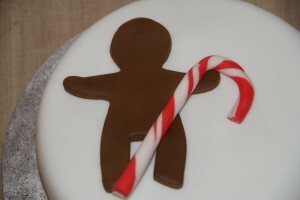 Add in the detail on the gingerbread man. 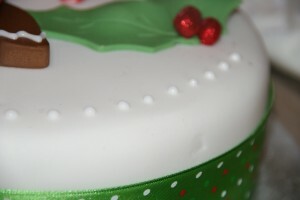 Pipe a ring of dots along the outside edge of the top of the cake. 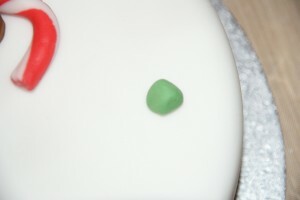 If any of the royal icing has any pointy peaks use a damp paintbrush just to flatten them down slightly. 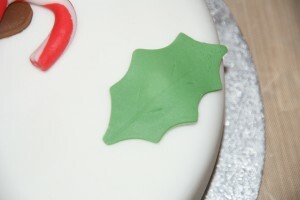 Trim the cake by adding a christmassy ribbon! Equipment: It’s all about using the cutters and bits and pieces you have at home, so adapt the design to suit what you have. 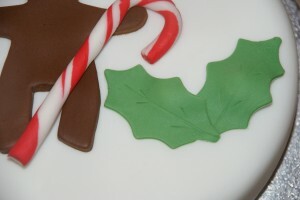 Lakeland stock ready coloured sugarpaste in Christmas colours or you could colour your own using gel paste colours. 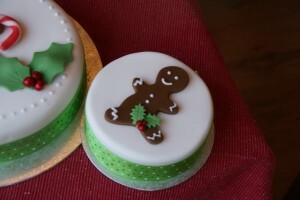 This is such a cute Christmas cake, it looks lovely.